Crispy on the outside, tender on the inside, and PACKED with that comforting “cinnamon roll” flavor. 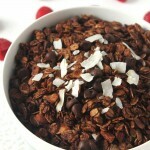 They’re so easy to make and are actually healthy for you! Of course, whilst cutting the sweet potatoes I changed my mind and decided to make them bites. I also decided that instead of coating them with olive oil (because cinnamon and olive oil don’t go together), I’d use melted butter. Ooh, yes. Because, when in doubt, add butter. Honestly, it isn’t that much added calories and it makes it taste 20x better. TRUTH. I guess I should tell you that these sweet potato bites are extremely addictive. Like, OMG—I horked down an entire batch with only a little help from my mom. Personally, I think that sweet potatoes are underestimated and way-hay-hay under used. I mean, have you TASTED the darn things. They’re straight heavenly, not to mention the fact that your body will thank you for eating them. 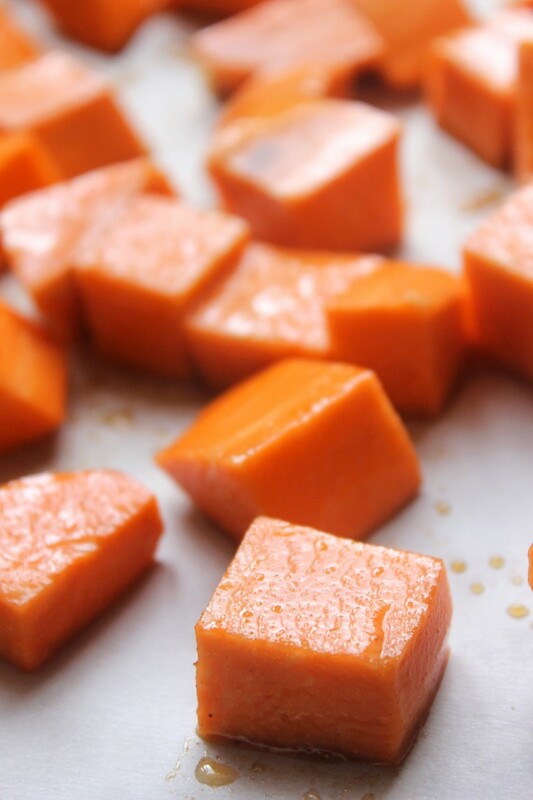 The method for these maple cinnamon sweet potato bites is very similar to how you would make sweet potato fries, except in this recipe we’re cutting the sweet potatoes into cubes and using different coating ingredients. Y’all are going to L-O-V-E these maple cinnamon sweet potato bites. 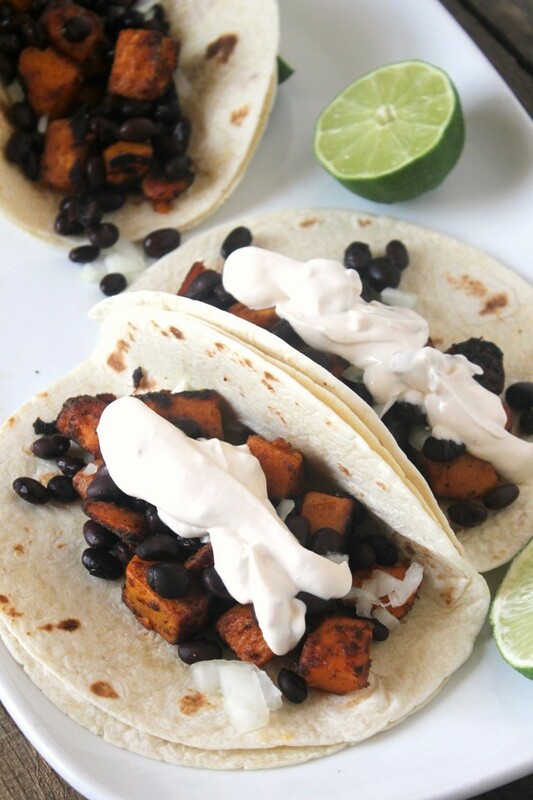 They’re SO stinkin’ easy to make and taste amazing. I mean, you have to make them. There’s no reason not to! If you don’t, you’re depriving yourself of FREAKING cinnamon roll flavored sweet potato bites! Crispy on the outside, tender on the inside, and PACKED with that comforting "cinnamon roll" flavor. 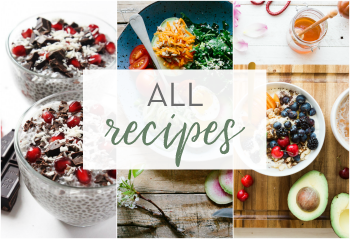 They're so easy to make and are actually healthy for you! 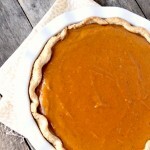 Preheat oven to 425° F. Line a baking sheet with parchment paper or foil and set aside. 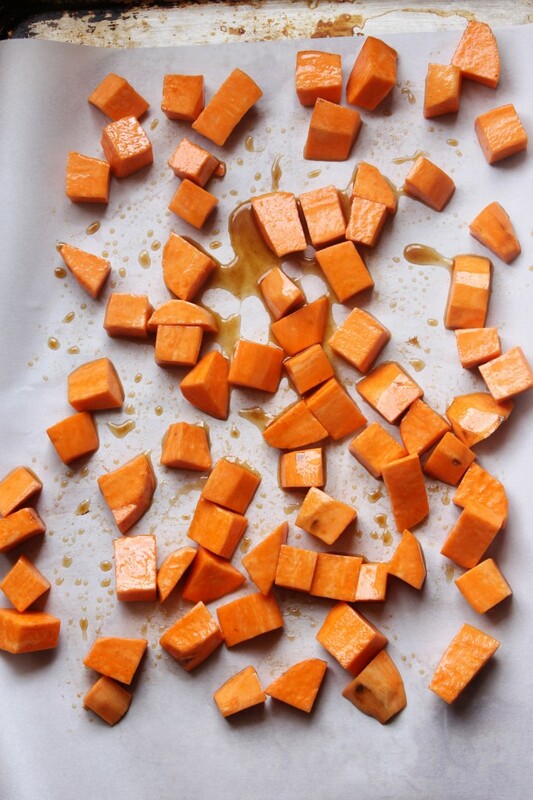 Peel the sweet potatoes and cut them into bite-size cubes with a sharp knife. 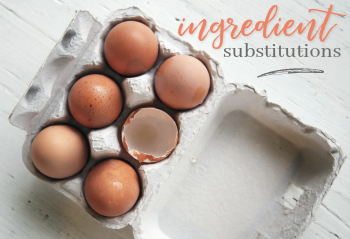 Place the cubes in a gallon-sized bag and drizzle in the melted. Seal the bag and give it a shake to coat all of the pieces in the butter. Sprinkle with extra cinnamon if desired and place the pan in the oven 25-30, stirring the bites about halfway through the baking time. Take the bites out of the oven and let them cool for about 5 minutes before eating. Not only will this keep you from burning your taste buds into oblivion, but it will also give the bites another chance to crisp up. 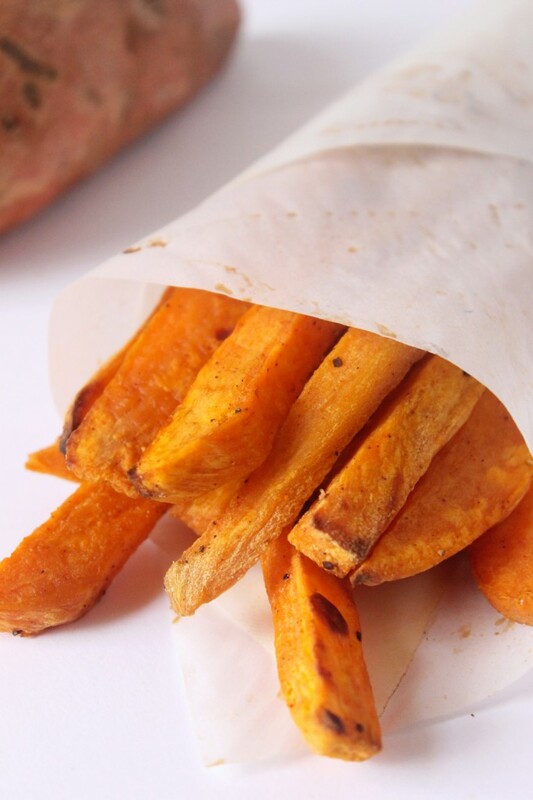 We just love sweet potatoes, especially roasted to bring out their natural sweetness. 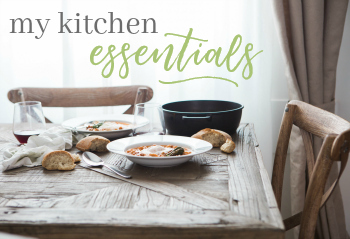 These recipes are keepers! Thanks Julie! And roasting them in the oven is my favorite way to prepare them! 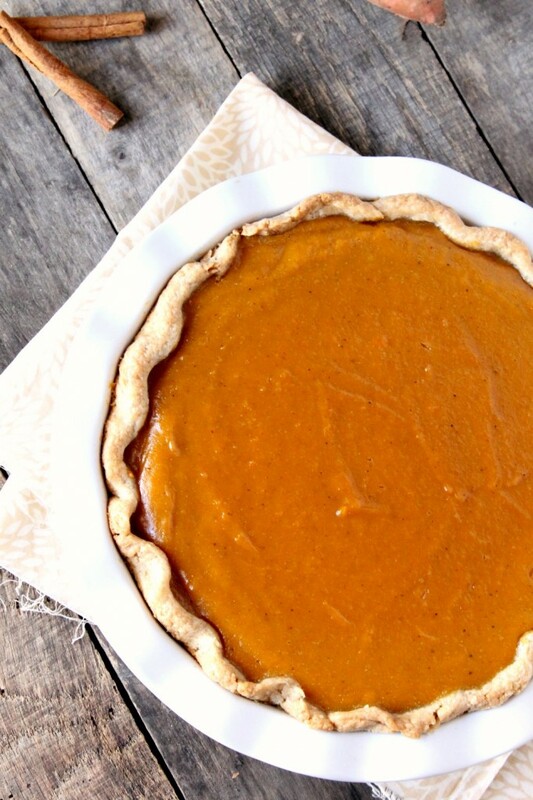 I’m always looking for new ways to make sweet potatoes! 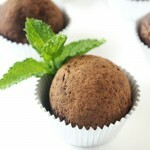 And only 5 ingredients, can’t beat that! 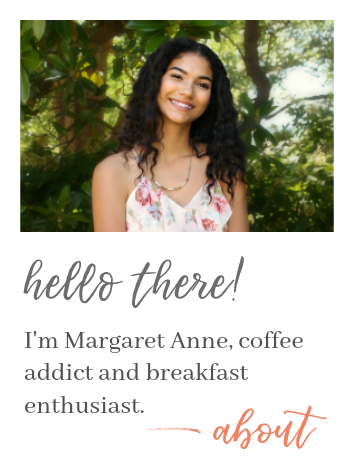 Thanks so much, Meggan! You’re going to love these sweet potato bites, I’m sure of it. Mmmmmm…butter, maple syrup and cinnamon! What’s not to love? Thanks for sharing. Oh my gosh, I’m drooling here! I have a couple sweet potatoes that need to be used up, I know what I’m doing with them now!! Haha, thanks Michelle. 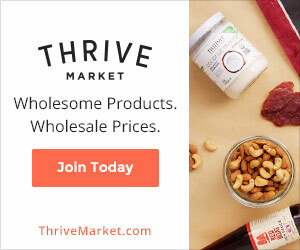 You’re really going to love these sweet potato bites! Delish! 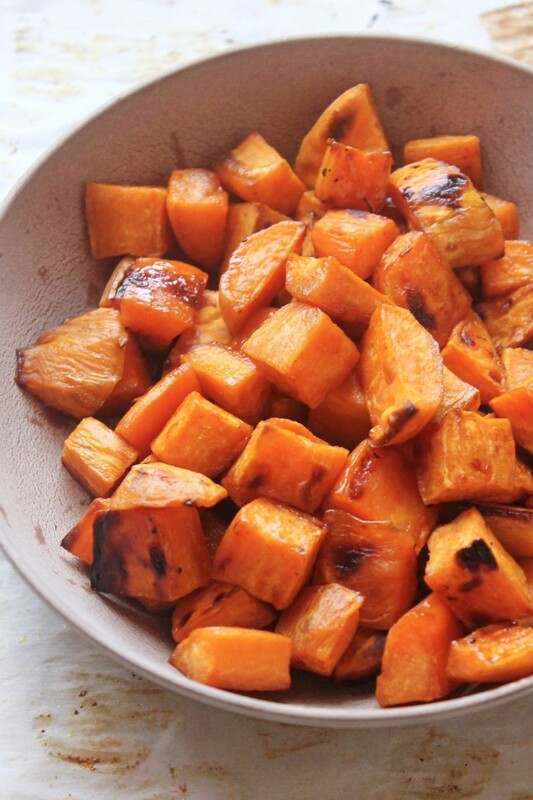 I love sweet potatoes and can eat them everyday. Lovely recipe. Will be trying it soon! 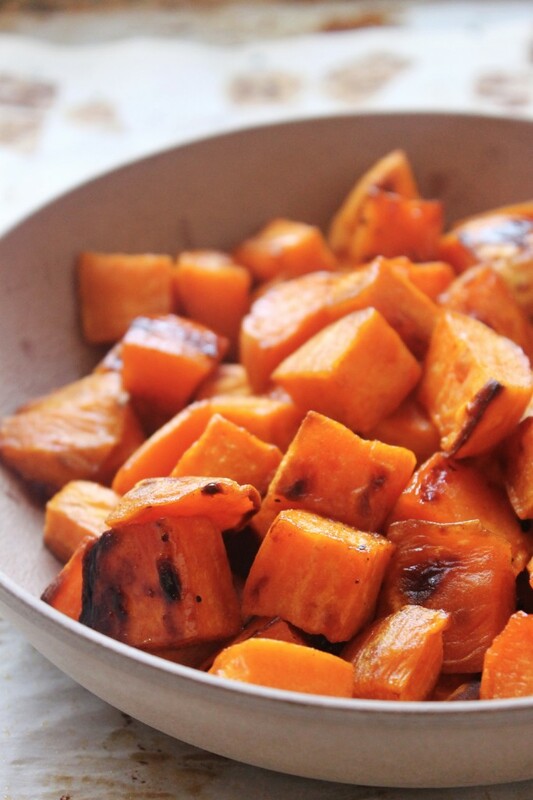 I cant tell you how much I love sweet potatoes!! 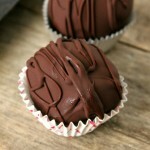 I can’t wait to try this I can already tell that I will need to make two batches at once! Haha, yeah, you probably will Dini! Thanks! 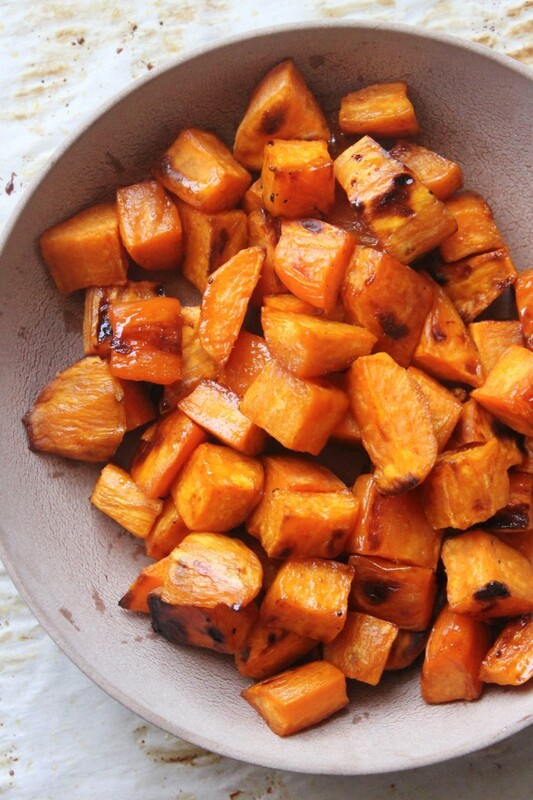 Sweet Potatoes are a southern staple. Will have to make this. 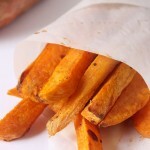 I love sweet potatoes, this sounds like a wonderful preparation! I like the addition of maple syrup. Thanks Joy! At first I was thinking about brown sugar, but wanted more of a “cinnamon roll” flavor, you know? 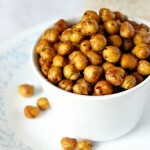 I’m definitely adding these to my list of side dishes! Thanks for the great recipe! 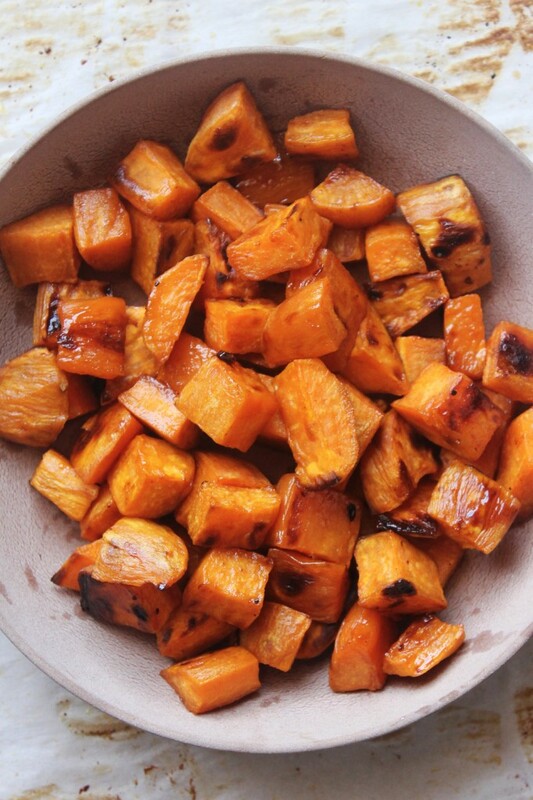 We love roasted sweet potatoes! When I first started making them about 5 years ago, hubby didn’t care for them, but I didn’t stop making them. Now they are everyone’s favorite veggie in our house. 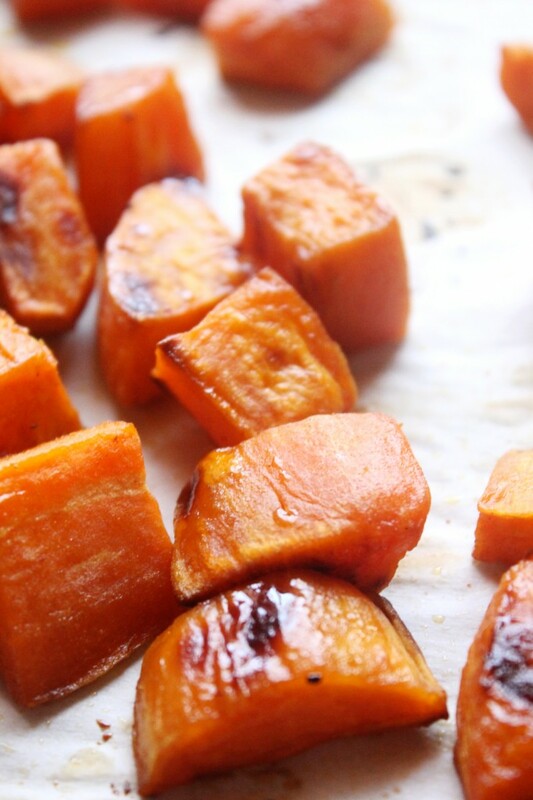 Love those sweet potatoes… we make them like this also… and they are very much enjoyed here. Can they be made the night before and then re-heated — or will it loose its crunch? ?